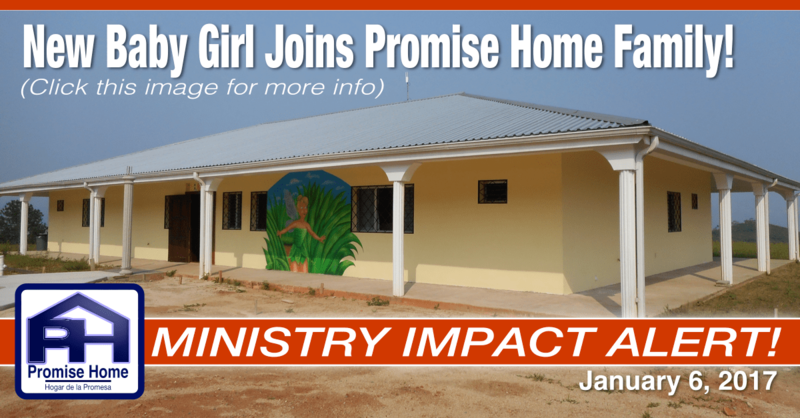 MINISTRY IMPACT ALERT: New Baby Girl Comes to Promise Home! A precious new little one came to Promise Home on Wednesday. Her name is Dari and one of her favorite things to do is smile and snuggle up to Dakota (14 year old daughter of Lisa & Marcus Fowler – our resident missionaries). She is extremely malnourished. It’s going to take her quite a while to build up to her physical age (12 months). She has a parasite. It has caused her stomach to distend due to the gas it is producing inside her … yes, just like the starving children on tv. This gas is painful! Her stool is sandy. She has been dehydrated, but is improving. Because of her weakened state, she cannot process food normally. She requires a special diet. Dari is certainly 12 months old. When she first arrived Dari was thought to be, at most, only a few months old! She has the number of teeth consistent with a child of 12 months. There are cavities in every single tooth. Her length is that you would expect to find in a 4.5 month old baby. Her weight is that you would expect in a 4 month old baby. The Fowler’s hearts were breaking for this little one with each new determination. All the while she was smiling at Lisa and Marcus and snuggling, hugging, and trying to enjoy life. She never, ever cried. What a brave little girl! Soy formula (it produces less gas and doesn’t feed the parasite as well). You can imagine the cost involved! Dari will improve. It will take time, love, prayer, and the Lord. Please, join us in praying for this precious little one! We will keep you informed as Dari progresses.